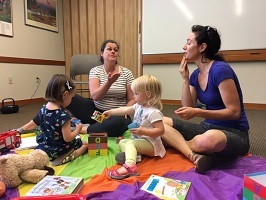 Join Hand to Heart Baby Sign Language to learn and bond with your baby during this six-week series of classes on Mondays from January 7 - February 25. Please note, no classes will be held on Martin Luther King, Jr. Day or President's Day. This program is for babies ages 0-24 MOS and their caregivers.